Last week, Ernie and I had the pleasure of trying out a new meal delivery service. We were able to pick out four healthy meals to be shipped in a climate controlled vessel! Keep reading to see our Terra’s Kitchen review. and since we had extra room in our vessel for more food, we added mango and blueberries. I was pretty surprised to see how big the vessel was on my doorstep. See Mochi for scale. Ernie came home after me to find me unpacking the vessel. At first, he was shocked at the size and wondered what we were going to do with this large box. But he was so impressed when I told him that it was a large vessel to store our food while shipping, and it would be going back the next day. There was an extra shipping label underneath the original label, so all I had to do was leave the box outside for pick up the next day. It’s already added to your order! Okay, let’s get to the good stuff…the food! One of our favorite meals was the oven-fried chicken. It was so easy to make and it was hard to believe that this dish only took me prep to table in thirty minutes! Another feature I liked about using Terra’s Kitchen was the actual recipes. I loved that they were printed on thick cardstock, had three hole punches ready for a binder, and wine/beer pairings. It’s like they thought of everything when creating these recipes for the customer! 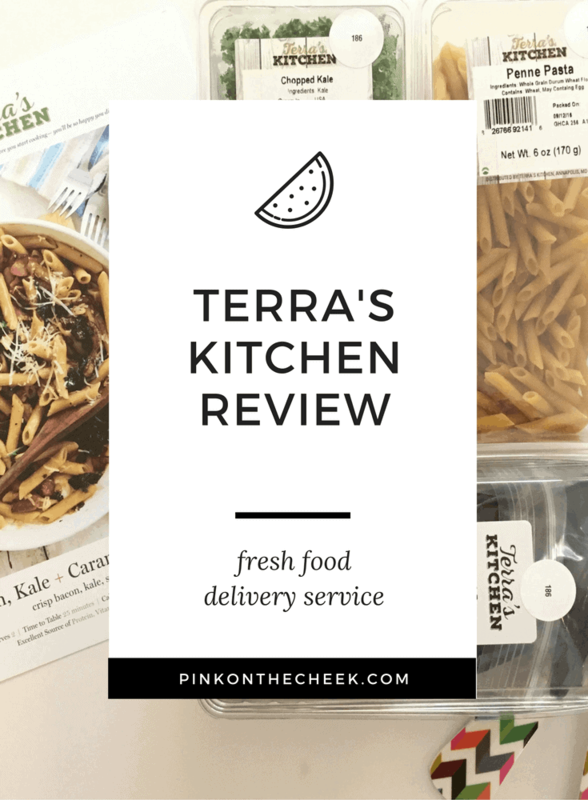 Overall, I was really impressed with this service from Terra’s Kitchen. I thought that the meal choices had a lot of variety to choose from, including gluten-free and paleo options! I also loved that there was little waste with the shipping service. It’s great to know that this vessel can be upcycled up to 100 times. If you are thinking of trying a new food delivery service, I strongly recommend Terra’s Kitchen.